David J. Fischer, M.D. is an experienced clinical psychiatrist with added experience in the psychiatric subspecialty of Forensic Psychiatry. Dr. Fischer trained in psychiatry at the National Institutes of Mental Health. His psychiatric training has been broad and varied, including behavioral conditioning, psychoanalytical psychotherapy, gestalt therapy, existential psychotherapy, forensic psychiatry, and psychopharmacology. His orientation is eclectic, practical and goal-oriented. 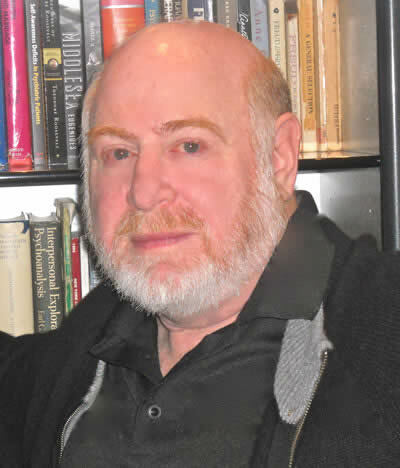 His extensive clinical experience has resulted in the development of a philosophy and approach to psychiatric treatment that is eclectic, practical and goal-oriented. Dr. Fischer uses his many years of training and experience to develop an effective individualized treatment plan tailored to meet the unique needs of each patient. He has 38 years of clinical experience in psychiatry. Dr. Fischer is an active clinician and maintains a full time practice in general psychiatry. He has extensive hospital and outpatient experience in clinical psychiatry. He specializes in treating ADHD, Stress, PTSD, Anxiety Disorders, Mood Disorders, Schizophrenia, Substance Abuse, Insomnia and Relationship Problems. Dr. Fischer evaluates and treats adults, families and couples. He conducts individual, group and couples psychotherapy. Dr. Fischer is a recognized expert in psychopharmacological (psychiatric medication) evaluation and treatment. He is a member of advisory panels and speakers’ programs of many major pharmaceutical companies. Dr. Fischer consults and performs diagnostic assessment and evaluation of patients. He has evaluated and treated patients in hospitals, clinics and private practice settings. He has also taught psychiatric diagnostics and treatment to psychiatry residents and post-doctoral psychologists at Saint Elizabeths Hospital in Washington, DC. He is a Senior Attending Physician in the Department of Psychiatry at the Washington Hospital Center. Dr. Fischer has spent many years as a practicing psychiatrist, evaluating and treating patients. Over the years he has learned alot about the challenges life presents. He knows certain answers and is happy to share them with his patients. Unfortunately, for the really difficult and hard questions, patients need to find the answers for themselves. Dr. Fischer’s job is to help facilitate his patients’ search to find these answers. Psychotherapy is a dialogue between the patient and the therapist. This, at times, can be an arduous and painful process, but also extremely rewarding and worthwhile.